That was the first revision of my review of Burnout Paradise: The Ultimate Box, which was originally posted on Steam. I put a little mini-review there, but this is the full thing. I have not finished the game, but I feel I’ve played enough of it to give an accurate review. For years, I’d heard about this game called Burnout Paradise here and there; on the used game shelf at GameStop, and later being played by some of my friends on Steam. I saw a popular YouTuber named NerdCubed do a video on it, playing with his dad, and I was hooked. I went on the lookout for a good deal on the PC version of Burnout Paradise. The Steam Summer Sale came, and I picked it up. I got a lot more than I bargained for The Ultimate Box is the only version of Burnout Paradise to hit PC, so that’s what I got. 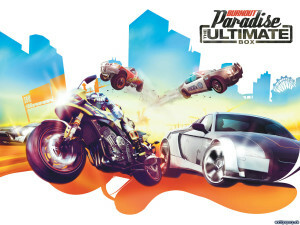 Many people think that TUB is the Ultimate Box, containing all DLC for Burnout Paradise. That is incorrect! At the time of the release of TUB, Criterion (the developers) had no intention to bring out any more DLC, or port the ones not on PC over, but they ended up doing so after the release of TUB. Therefore, those DLCs have to be purchased seperately. You used to be able to buy them in-game, but the Burnout Store is down, so that is no longer possible. You must go to Amazon or GreenManGaming and buy a key for the Bonus Vehicle pack, unlocking the rest of the DLC; the Toy Cars, Cops and Robbers, a new map called Big Surf Island, and more. However, TUB came with all DLC and free updates to that point (including the absolutely amazing Burnout Bikes update, adding four new motorbikes to ride). If you weren’t mislead and knew what you were (and weren’t) getting, it’s a great collection – except for one thing. Remember when I said that I got more than I bargained for? 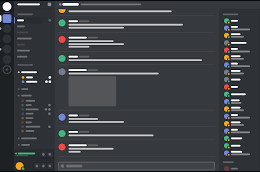 One after another gamebreaking bug; DMV screen webcam issue, crashing at startup, yada, yada, yada. I tried everything I could find on the internet, until I tried Windows 95 compatibility mode. Many people say that XP SP3 compatibility mode fixes it, some say Vista, but it all depends; any one of them could be the fixer for you. However, some have tried all of them, and still had no luck. Beware if you are considering buying this game! Due to it’s buggy nature, I’d recommend buying it on Origin; you’re backed by their Great Game Guarantee, which will let you return the game within 24 hours, and is a lot easier than getting Steam to give you a refund (a couple of my family members have tried, on TWO different occasions, and it wasn’t easy – really, all they ended up getting was the game transferred to the other’s account who COULD play it). Bugs aside, here’s what I think about the game. The game has amazing damage models. A large part of the game is doing Takedowns and getting Taken Down. Takedowns are performed by ramming other cars off the road, so they hit something and total their car. You can also crash into things, and smash your own car. When your car gets totaled or Taken Down, a slow-motion camera shows how your car crumbles and bits fly off when you crash; some think it’s annoying, but I think it’s pretty freakin’ awesome. The driving is very arcadey-feeling, but it has a nice feel to it. 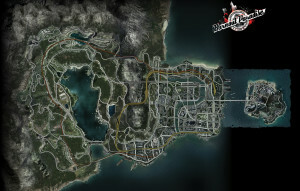 The game has over 75+ cars to choose from, and four bikes added by the included Burnout Bikes DLC. The cars go round corners nicely, and it’s easy to pick up and play. Out of all racing games I’ve played, it’s got one of my favorite feelings when you drive. The only downside is that the handbrake seems very scripted; all it does is basically make your car hard turn in the direction that your car may even be slightly veering off into. A minor disappointment, but it can be overlooked easily. The driving is phenomenal! The graphics (not the most important part, but a game’s detail and art style is a big factor) are pretty good when cranked up to the maximum. My 650m can’t handle it at maximum, so I have to turn off AA, SSAO, and Motion Blur, but I have a buddy that’s dual-SLI GTX Titans slice through it (obviously). Optimization is not an issue here, so most systems (even lower-end ones, if you configure the graphics right) should run it with ease. The game (especially while on bikes) looks ever so slightly Borderlandsy, and it sometimes has a cel-shaded effect. I quite like the graphics and art style; it’s no Crysis, but the visuals department is something that Burnout Paradise excels in. The soundtrack is another highlight of the game. Including a wide assortment of tracks, as well as the soundtracks from a couple of previous Burnout games, the soundtrack is a joy to listen to while driving around Paradise City. However, I’ve disabled all of the tracks except one, the one that plays at the main menu and is like the theme song for the game; “Paradise City” by Guns ‘n’ Roses. I can count on my fingers the amount of games that had songs in them that I want to add to my music library (2,000+ songs and counting!) – Burnout Paradise (this song), Far Cry 3 (Make It Bun Dem by Skrillex and Damian Marley), and Call of Duty Black Ops 2 (Imma Try It Out by Skrillex and Alvin Risk). The soundtrack is pleasant to listen to, and contains some songs that you’ll get stuck in your head; a rarity for video game soundtracks these days it seems. The multiplayer still has some life in it; the main mode of Paradise City Online being Freeburn, a free-roam online lobby where you can initiate challenges and events seamlessly, but still drive around smashing billboards and gates if that’s what you fancy. You can usually get into a lobby if you just join a random one. There are also Ranked and Unranked lobbies of events.  Every time I’ve tried the Ranked lobbies, I can’t find any. Unranked sometimes has them. The multiplayer is quite fun, and being the reason I bought the game (to play with my buddies) I’m not disappointed. There’s also a mode called Burnout Party, one of the free updates/DLC. 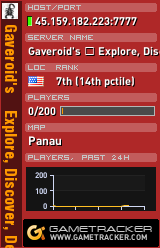 Basically, you set a player count, and you pass the controller around to see who can score the best at certain events. The multiplayer in Burnout Paradise does not dissappoint! Overall, Burnout Paradise: The Ultimate Box, all bugs aside, is a great game. I give it an 8.5 out of 10. However, I don’t recommend you buy it anywhere other than Origin (because you can get a refund within 24-hours, no questions asked) or on a console because it may-or-may-not work for you. It’s not really The Ultimate Box. For the full Burnout Paradise experience, you’ll need the extra DLC, which although isn’t available from the now-defunct Burnout Store, but you can buy it here for $9.99. Considering the game’s $19.99 already (I got it for $9.99 on sale), I’d wait to get it on sale for at least $9.99 and pick up the DLC with it. If I ever do get the DLC, I’ll review that as well. If you see Burnout Paradise on sale, and are willing to risk possibly having some game-breaking bugs, click the Buy button!